Businesses count on Dickson, Stojak, Huang Chartered Professional Accountants for the deep industry knowledge and solid advice that keeps them at their most competitive. What may we do for you? Welcome to Dickson, Stojak, Huang Chartered Professional Accountants, where helping you reach your financial goals is our first priority. Count on us for the exceptional knowledge and outstanding customer service you’re looking for, whether you’re a longtime resident of British Columbia or a new immigrant to Canada. 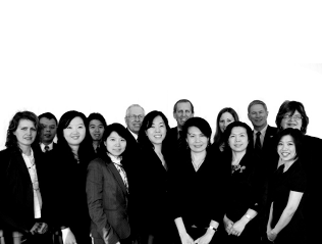 At Dickson, Stojak, Huang, we believe that the strength of our firm lies in our team of professionals. Whether you are looking to start a business, grow it or exit from it, ROCG can help you successfully transition your business from one phase to the next! Our mission is to add value to your business by providing innovative business solutions and superior service, while providing challenging and rewarding engagements for our team members.